Auger Boring is the process of utilizing an auger boring machine, cutting head and pipe that creates a continous underground bore. 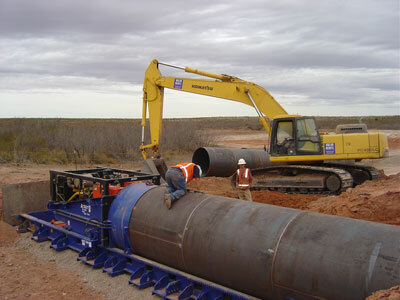 During this process a steel casing is inserted behind the auger cutting head to insure maximum ground surface stability. DH Underground offers auger boring in sizes diameters ranging from 12″ to 72″ steel casing.